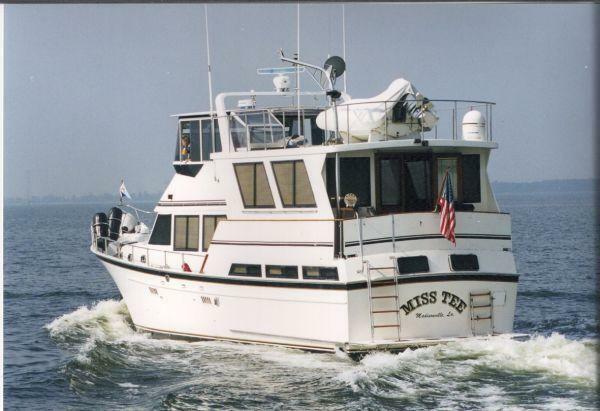 1988 Sea Ranger 52 Cockpit M/V Miss Tee offers a spacious, three-stateroom, galley-up floor plan, with an inside helm to dodge the elements when needed. Separate staterooms, with separate heads and separate showers on opposite ends of the craft, make it easy to say "Yes", when inviting family and friends. 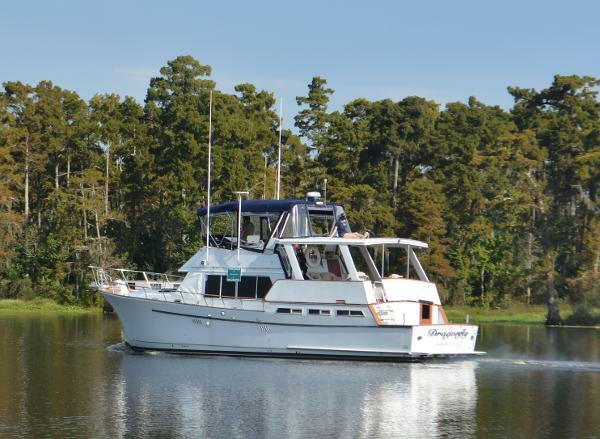 To set her aside from others, she has a fully enclosed, furnished, tile, sundeck w/full wet-bar station for entertaining guests; beautiful teak interior throughout, matching decor, and air conditioning in the enclosed bridge. Equipped with Twin Caterpillar 3208 Diesel Engines, 12.5 kW Westerbeke Generator, Upper & Lower Helm navigation essentials and more, she is "the one" for that family trip, you have been looking for. 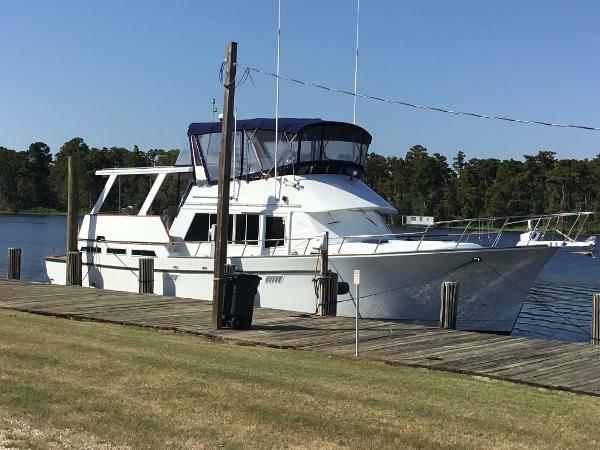 1988 Sea Ranger King Yachts 52 This is a rare three stateroom layout in this well maintained, beautiful classic motoryacht. 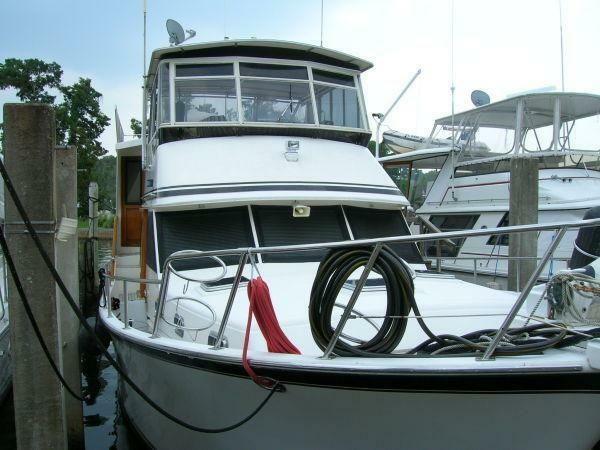 She has a hugh fully enclosed sundeck which is furnished great for entertaining or can be used as a second salon. The teak decks were replaced several years back with no screws. Powered by Twin Caterpillar 3208 TA 385 HP diesel engines and a Westerbeke generator. Beautiful teak interior with custom furnishings to match. Fully air conditioned including the bridge.